Ever wondered what a day in The Green Room is like? With the Six Nations in full swing it was the turn of England to play Italy and, once again, The Green Room was providing some of the best hospitality at Twickenham. There is no better way to kick off the day than with a champagne reception, and that’s exactly what our guests in The Green Room receive. With drinks flowing it was time for the fist-class entertainment to start. To begin with World Cup winning Head Coach Sir Clive Woodward gave his insight on the current England squad and how they would fare in the match against Italy. Next up on the agenda was a sumptuous four-course meal as our legendary Green Room panel took to the stage. 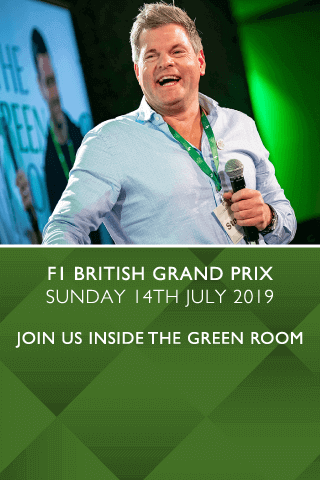 Hospitality Finder ambassadors Lawrence Dallaglio and Mike Tindall were joined by former England team mates David Flatman and Iain Balshaw, who were as entertaining as ever with their stories from their rugby days. Soon our guests made their way to their seats in the stadium to watch the thrilling match, a brilliant game that saw England win 36-15, putting them at the top of the Six Nations table after round three. Once our guests made their way back into The Green Room it was time for a post-match Twickenham tea, where our panel took to the stage once again to give their analysis of the match. There are plenty of opportunities to spot some stars in The Green Room and this game was no exception. We were joined by golfer Lee Westwood and sports presenter Jake Humphrey. To round off the day our VIP guests were joined by current England player Maro Itoje for a Q&A session with Green Room host Mark Durden-Smith. This was followed by a prize draw where one lucky winner won two VIP tickets to Epsom Derby.